Fall is here and Winter will be here before you know it(well in my part of the Country). This is the time of year when my hair starts to get a little drier than I would like and I was thinking others may have the same issue. I decided to share a throw-back post(well I posted this back in May) that I believe may be helpful to some. I'm sure a lot of you are familiar with these tips, but it doesn't hurt to repeat! One cause of dry hair is product build-up. When hair has product build-up, it is impossible for it to retain or receive any moisture. The only way to remove product build-up is by clarifying your hair.Clarifying basically strips the hair of all products, minerals, sebum and so forth. After clarifying, your hair has a fresh start to replenish any moisture lost.You must follow-up with some sort of conditioner or deep conditioner to avoid brittle hair. If I find a need to clarify, I may use a shampoo containing sulfates. But many store bought shampoos stating "Clarifying" on the label suffice as a clarifying shampoo. There are natural ways to clarify as well such as using baking soda and vinegar. Steam treatments are great for the hair because they open the hair cuticle to allow a deep conditioner or oils to penetrate the hair shaft giving more moisturized, healthy, soft, and stronger hair. When steaming, you are using moist heat opposed to the dry heat coming from a conventional hair dryer. See post here on how to steam hair at home. Baggying is lightly moisturizing hair then placing a plastic cap over your hair for a given amount of time. The plastic cap traps your body heat(on the head of course) which helps the hair retain moisture. It can be done overnight or for an hour. You can also opt to baggy only your ponytail opposed to your whole head. Baggying takes some trial and error because some end up with wet, mushy hair. The key is to use very little moisturizer. I'm sure many of you are familiar with hot oil treatments. This is when you heat up an oil, I suggest using oils that penetrate hair shaft such as Coconut, Avocado or Olive Oil, and apply to hair and scalp, cover with a plastic cap and rinse after 30-45 minutes. 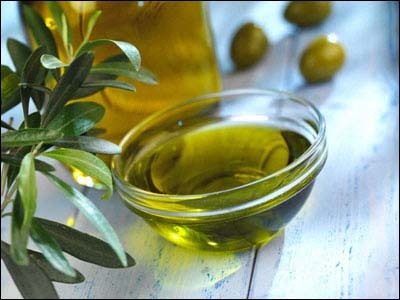 In order to receive the full benefits of a hot oil treatment, do them on freshly washed/towel dried hair. Read more about hot oil treatments here. All great tips. I am currently getting over dry hair but I believe it's due to lack of thorough deep conditioning and all of the products the stylist used in my hair. I clarified and dc'd and it is getting better. This is exactly the steps I take to relieve my occasional dryess. Thanks. That's great that your hair is getting better!